As someone who’s spent the past three nights in a hotel room, the hotel TV experience feels stuck in 1998. The TV comes on to a customized hotel user interface with music that is way too loud, and then I have to arrow over to the TV menu to then actually watch TV. Anytime I use a traditional cable interface, I am reminded of why I cut the cord. It’s tedious to see what’s on, it’s slow to change to what I find, and it’s entirely the opposite of a modern Apple TV-type interface. I’ve often thought all of my complaints could go away if there was an Apple TV in my room. In fact, an Apple TV in a hotel would likely cause me to choose one hotel over another. During day two of the Jamf Nation User Conference, Red Lion took the stage to talk about their Apple TV program they are deploying at one of their hotels in Baltimore. Using the Monscierge Apple TV app, Red Lion is completely turning the hotel TV experience on its head. Red Lion has 1500 hotels and 60,000 rooms around the United States. When someone checks into a Red Lion hotel with an Apple TV installed, they have the Monscierge app preinstalled along with Netflix and Hulu. Guests can sign into these apps with their existing username/password to keep up the shows they are watching at home, but that is just a small sample of what they can do. 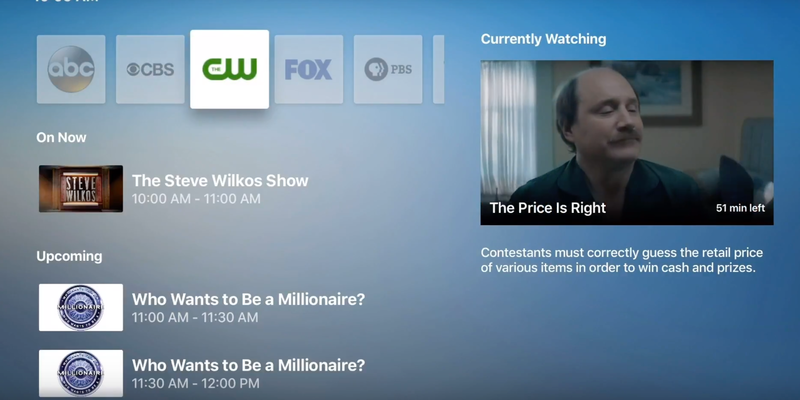 It also has a custom live TV app with DirecTV for watching traditional cable channels. This version of the app doesn’t require guests to sign in either. It works with equipment the hotel has on-site, and it is distributed using multicast technology. The Monscierge app includes property (hotel) features, upcoming events, recommendations for dining, or activities in the area, and the ability to request guest services. Red Lion mentioned they hope to be able to integrate in services like UberEats in the future to allow delivery from local restaurants. When guests sign out, the Apple TV goes through a wipe process, and then it’s set back up to the default Red Lion configuration using Jamf Pro (all of this is automatic, and IT is not involved). Guests can be sure no one else can use their accounts. During the Jamf interview, Dean Hager (Jamf CEO) indicated they will be looking at the Setup and Reset apps for tvOS for use cases like this. Through this app, the Apple TV has become “input 1” on all the TVs at this hotel, and there is no reason to use input 2. Would an Apple TV in a hotel room make you want to choose a certain hotel? Let me know what you think in the comments.